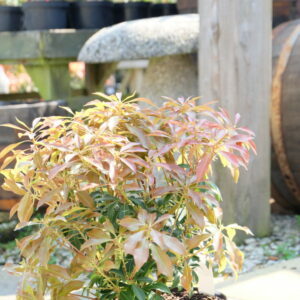 Pieris are a group of highly ornamental evergreen shrubs. They produce panicles of long white flowers in late winter. 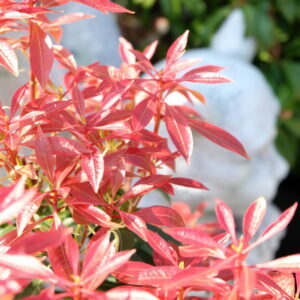 The new spring foilage is brightly coloured red or bronze then gradually changes to cream then green. Best planted in light shade. Requires a lime free (ericaceous) soil. 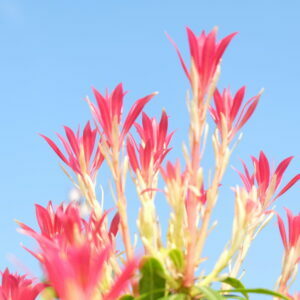 Grows to a height of 1 – 1.5 meters with a spread of 0.5 – 1 meter.